In a week where the latest news out of Syria is that chemical nerve agents appear to have been deployed against a civilian population in the province of Idlib, (with children disproportionately among the dead) it is worth reflecting on the little stories of hope and renewal for the Syrian diaspora in our own backyard. One of these stories involves a large extended refugee family – seven children in all – and their experience of the SAC-SunFun program in the summer of 2017. When the children first came to The Cridge, they were insular and liked to test boundaries and rules – even to misrepresent their comprehension of English when it suited them! The SunFun leaders were quick to recognize that their shared experience of trauma and fear in Syria and the refugee camps (combined with their familial and cultural bonds) had made them dependent on each other and wary of outsiders, and set about patiently building relationships of trust with the children. This deliberate effort on the part of the leaders, against the background of daily excursions and adventures with SunFun, bore fruit by the end of the summer. One leader reflects that this period may have been the first time the family had been together under such happy circumstances — in which they were free from fear, relaxed, and at peace. Correspondingly, she watched them blossom into outgoing and humorous characters, eager to spend time with the leaders in particular. The positive attention and affirmation gave the leaders credibility with the children which translated into trust in difficult moments. SAC Coordinator Tim Latour recounts one episode from a trip to Youbou, where the children witnessed Royal Canadian Navy divers practicing dropping from a helicopter into the lake. One of the older girls seemed close to a panic attack, but Tim and another leader were able to reassure them and explain that these were the ‘good guys.’ The seven of them ended the day cheering for the divers from the dock! The socialization of the children was also promoted through their experience of the program. Leaders noted how their language and communication skills improved over the course of the summer. This development was supported by an ESL instructor coming in several times a week to meet with them at the end of the day in the Childcare building. Whereas at the start of the summer the children would often act out in frustration instead of asking for help or mediation, by the end they were comfortable enough and confident enough to approach the leaders with their needs, wants, and problems. Perhaps most importantly, the children and their families increasingly came to see Canada as home. One leader recalls playing catch with one of the girls and looking up to see her father at the top of the hill laughing with joy at the spectacle! Another remembers one of the older boys on the drive up to Youbou staring wistfully out the window at sprawling green farmland and stating: ‘One day, I will live here.’ Those leaders who have been lucky enough to be responsible for pickups and drop-offs at Quadra Elementary this school year have been greeted not just with hellos, smiles, and hugs from all the cousins but with the sight of the children continuing to realize they are not just welcome here, they belong here. In the midst of the horror the headlines out of Syria inundate us with, and our seeming helplessness in the face of the terrible human cost of the ongoing conflict, we can take heart in the fact that The Cridge Centre for the Family quietly goes about making a difference in the lives of some of the most vulnerable victims of that conflagration. Truly, The Cridge community is a place of security, hospitality and care for those who need it most, a place where children and adults alike are encouraged to flourish. It is a place where the love of Jesus Christ is indeed manifest, and seeds of hope are sown in a broken world. Recently one of our tenants needed some childcare for her 10 year old daughter, Mina, while she attended an appointment. All of the Dovetail support workers were busy in appointments with their clients at that time, and I had a few hours free, so I volunteered to hang out with Mina. I asked Mina what she wanted to do, and she said she wanted to go on a walk. So I asked Mina to show me the places in The Cridge neighbourhood where she spent her time. The journey we took over the next hour was truly special: seeing The Cridge property and surrounding neighbourhood from her perspective gave me a whole new view of this community. There were secret meeting places, tucked-away playgrounds, neighbourhood pets that she visits each day… she even tried to convince to me to take the “short cut” and jump a fence (I couldn’t quite agree to that!). It was clear that Mina was excited and proud to be my neighbourhood tour guide. As I reflect on this experience, a few things really stick out to me. I realize how important it is for the children we serve to feel connected to their neighbourhood. These are kids who have experienced trauma and transition. All of them have moved into this place under very stressful circumstances. It strikes me that getting to know and feel comfortable in this neighbourhood plays a significant role in their healing and future development. Reflecting on this experience also makes me realize what a joy it is to see this little corner of the world through the eyes of a child. Mina gave me the gift of experiencing this place in a new and fresh way. All of it reaffirms for me that we live, work and play in a very special place! For more information about our Supportive Housing, click here. The Cridge Transition House for Women brings together women and children from many backgrounds, experiences and life styles. Making it all work is really a leap of faith. It turns out that leaping in faith can have some pretty awesome results. Not so long ago, a woman staying at the transition really liked to bake in the evenings. It was how she unwound and processed her day. At the same time there was a 13 year old boy staying with his mom. He was doing okay but it was a bit awkward for him, as it often is for older boys, to be living in a house full of women and small children. One evening our baking resident decided to bake Halloween cookies. This boy asked her if he could help. She was thrilled to have him join her. 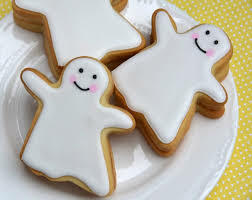 They made delicious ghost cookies with purple icing! Her encouragement of his interest in baking lit a spark! He made a batch of cookies on his own a few days later. They didn’t turn out as well as he had hoped so he anxiously waited for his baking “mentor” to come home to “debrief” and figure out what went wrong. Encouraged by her to keep trying, he baked cinnamon buns for everyone one evening while the women were making jewelry in the dining room. Apparently the cinnamon buns turned out more like doughnuts. (I wouldn’t know because there wasn’t even a crumb left the next day). He was disappointed and asked the women what he could do differently. There was a loud chorus of, “Nothing!” Clearly, no one else was disappointed in the results! Then everyone started telling him what a bright future he could have if he pursues his interest and talent for cooking. He was so proud and inspired. A leap of faith can be magic, bringing together people who didn’t know how much they needed each other! Kevin sustained an acquired brain injury from a fall in 2009. As a result, he experiences physical stiffness and cognitive challenges. Kevin does have good insight into his limitations and he works hard to pace himself accordingly. Kevin’s warm personality is engaging and he generally enjoys being with people. He has a great sense of humor, an infectious laugh, and likes to be an encourager to others. After Kevin’s injury, he was faced with many day-to-day challenges. He worked through speech difficulties, fatigue issues, learning coping strategies to avoid verbal outbursts and how to deal with outside stimuli, like excessive noise. Like many other individuals, Kevin also struggled with substance use; however, he has worked on his recovery and this is now behind him. Kevin lives his life to the fullest by using strategies daily. For example, he uses a pocket calendar, smart phone for texting and recording information, doctors’ appointments and his to-do list. Kevin does not shy away from work by any means. In fact, one of the struggles Kevin still faces today is putting the needs of others first. He needs to remind himself daily that his care plan needs to come first so he can be of service to others. 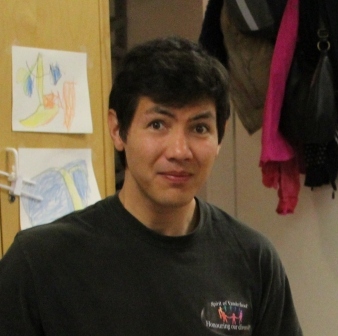 Kevin has a variety of interests including gardening, cooking, poetry writing, doing research, and building things. His connection with The Cridge came through volunteering at Macdonald House. He then went on to participate in our community kitchen and became involved with the Kale King program. Kevin’s interest in gardening and cooking was advantageous to this program as he quickly became a lead team member in gardening, cookie-making and selling products at the night market. Kevin now serves in the Daycare Breakfast Program and has made a great connection with the staff and children. Kevin also proudly completed his diploma in Community, Family and Child Studies through Camosun College in 2014 – the same year he joined Kale Kings. In 2015, Kevin moved in to Mary Cridge Manor to further develop social interests and employment goals. Kevin is an avid volunteer too. He continues to work on yard maintenance at Macdonald House and cooks and delivers vegetarian meals weekly through the Food Not Bombs program. The Cridge Respitality Program is a fantastic example of how the community can come together, with joy, to support families in need. Each month, 20-30 exhausted parents of children with special needs and mental health challenges get to experience the break of an overnight stay at a beautiful hotel. Making that happen for families is quite a process; one that involves many key players. From the family-serving agencies who refer parents to Respitality, to the hotel partners who generously donate overnight stays, to our team of volunteers who assemble gift baskets for each family, to 2 incredibly passionate staff members who bring it all together — it is a team effort! What makes Respitality so special is that everyone who participates feels such joy in being able to give. The testimonials below, from individuals and agencies involved in Respitality in very different ways, reflect the incredible value of this wonderful program. Misha comes into the Seniors’ Centre weekly to be a computer mentor to our seniors. 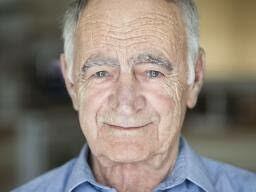 He assists staff in providing technological assistance to the seniors in the building. Whether it is the senior’s own laptop, computer, iPad, smart phone, printer or other piece of technology, he is booked by half hour sessions to assist in the use, exploration or troubleshooting of these items. By being very knowledgeable about both the item and how to walk a senior through the steps, Misha helps each senior to engage with it more easily and enjoyably. By helping them, he is allowing The Cridge Village Seniors Centre to support senior access and exposure to technology and our digital world. By taking the time to write down steps for the senior, he breaks the barrier of confusion or frustration with a device and allows them to build confidence. Misha bridges a technology gap between generations while he gets the chance to engage meaningfully with his skill set as he decides his career path in college. We are so grateful for Misha! Jumbles/Comic Cards: Volunteers get together and create word puzzles which are then presented to seniors living at Cridge Village. In the near future these Jumbles will also be a part of a community magazine promoting brain health through cognitive exercises, called MindXMagazine. Volunteers also created comics that were produced into cards, promoting humour and a “lighter side” of life. Brain Injury Awareness and Prevention: Volunteers join facilitator, Greg Goldberg, on his adventures to various schools where he presents his helmet safety presentation, Mr. Tomato Head. Volunteers share their experiences with head injury. These opportunities relate directly to our work in brain injury services, because it’s client themselves volunteering. These examples are not part of our regular rehab programming which clients have an expectation to participate in, but instead are opportunities created around client interest and desire. These assignments provide social interaction and cognitive rehab opportunities, while also fostering personal growth, compassion and resilience. And the community receives awareness, education, and products. It’s a win-win! For more information about our Brain Injury Services, click here. 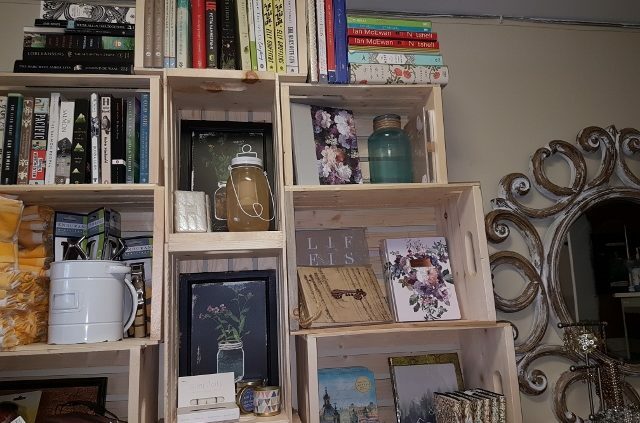 Michelle is the owner of a local gift shop that has faithfully donated their unsold merchandise to The Cridge for many years. This merchandise has been distributed to tenants of Cridge housing (women fleeing intimate partner violence and immigrant/refugee families) , as well as clients of our Cridge Transition House outreach in the community. The difficult journey from violence to safety, from persecution to freedom is paved with love, care, grace, mercy and kindness by this volunteer’s vision and efforts. She walks alongside us to create success and beauty in lives that are damaged by violence and pain, and in doing so, is helping create a path to health and wholeness.